Unlike farmed fish, wild salmon are harvested when they are mature, after their feeding cycle has ended, when their flesh is firm and their migration has begun. Wild salmon are crucial to the health of our rivers. They carry nutrients from the river to the sea and back again, entering the food chain as a vital feast for wildlife and fertilizing rivers and forests after they spawn, die and decompose. 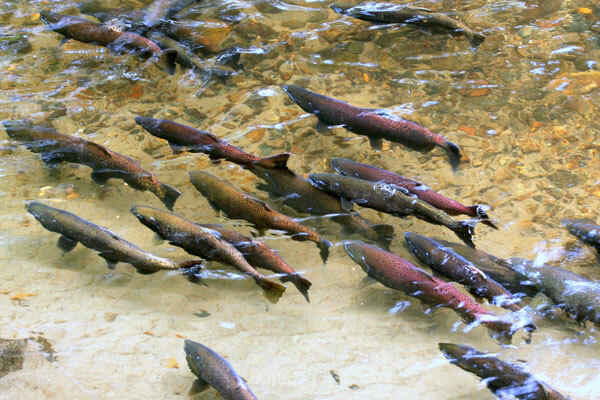 Wild salmon are one of the Northwest’s greatest renewable resources. Careful monitoring of wild runs, their watersheds and the ecosystems that support them ensure economic and environmental sustainability, healthy economic returns for future generations and the preservation of pristine habitat. Wild salmon have higher levels of oil content than farmed salmon due to thousands of years of natural selection providing them with the fat reserves necessary to migrate and spawn thousands of miles. The oil contains high levels of Omega-3s- the unsaturated fat that helps fend off heart disease, psoriasis, rheumatoid arthritis, breast cancer and migraines. The high levels of oil are the key to the salmon’s revered flavor, which is preferred by discerning chefs and consumers throughout the country. Salmon are a sign of healthy rivers. A river where salmon flourish provides us with clean water to drink and healthy fish to eat. If the salmon suffer, eventually we will too. Producing 32,000 tons of farmed salmon produces sewage equivalent to that generated by a city of 500,000 people. These wastes degrade water quality and smother communities of plants and animals beneath salmon cages. 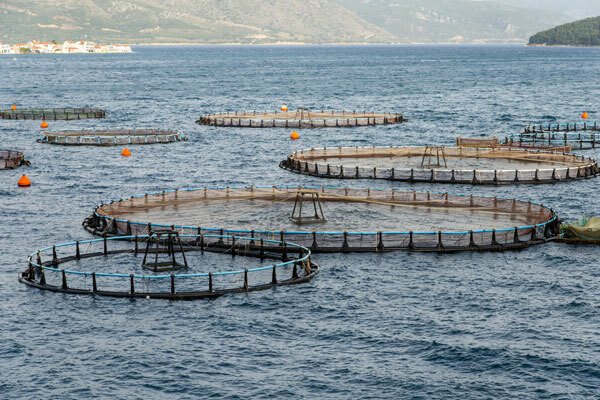 Crowding salmon in small pens fosters the spread of disease. To counter this threat, salmon farmers use antibiotics, vaccines and other chemicals, much of which can enter the water. There has been little research on the impacts of this heavy use of chemicals upon marine life and human health. Salmon farms are a sitting target for marine mammals and sea birds looking for a meal. In British Columbia, an estimated 500 harbor seals are shot each year to protect salmon farms. Netting used to exclude marine mammals and birds can entangle and drown helpless animals. Acoustic devices used to scare away seals and sea lions have been successful in some places, leading to the withdrawal of resident populations of harbor porpoises and whales. Salmon pens are often accidentally ripped open, releasing salmon into surrounding waterways. In Norway, where as many as 1.3 million salmon escape from farms each year, one-third of the salmon spawning in coastal rivers are not wild but escaped salmon. Besides competing for food and spawning habitat, escaped salmon may interbreed with wild salmon, reducing the latter’s fitness. An estimated 204,000 – 433,000 pounds of antibiotics are used annually in the production of seafood sold in the U.S., according to a new report published by the Institute for Agriculture and Trade Policy. This includes antibiotics from the same classes that doctors depend on for treating sick humans.